The Santa Barbara oil spill that released 110,000 gallons of oil May 19th, made a huge mess and unsurprisingly, destroyed habitats and killed hundreds of birds and marine mammals. An 8 inch tear in a corroded pipeline was to blame. The number of animals lost would have been much more if it weren't for the wildlife centers up and down the California coast that are run almost exclusively by volunteers. I used to be one of these volunteers that spent countless hours smelling like fish, caring for the sick and dying animals hoping that one day they could be healthy enough to be released back into the ocean. We would be especially busy with the regular "baby season" in the late Winter through early Summer. This year the centers have been inundated with so many more! 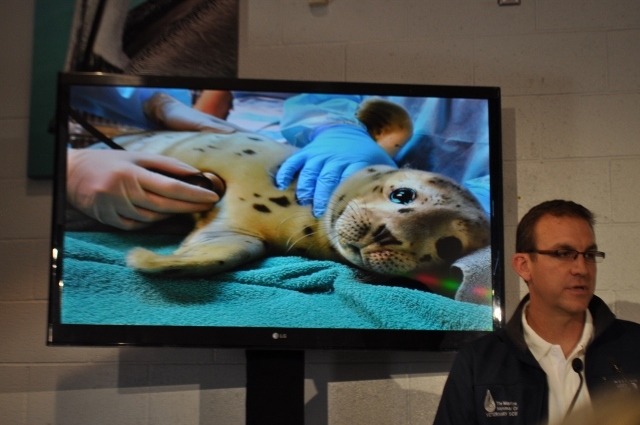 You may have heard that their have been thousands of Sea Lion pups starving and beaching themselves all over Southern California this Spring and Summer. The reason for this is that the moms have had to swim farther and farther out to sea to feed themselves, leaving their young ones earlier to fend for themselves. Because the young Sea Lions, cannot follow their moms on long distances, they in turn starve. 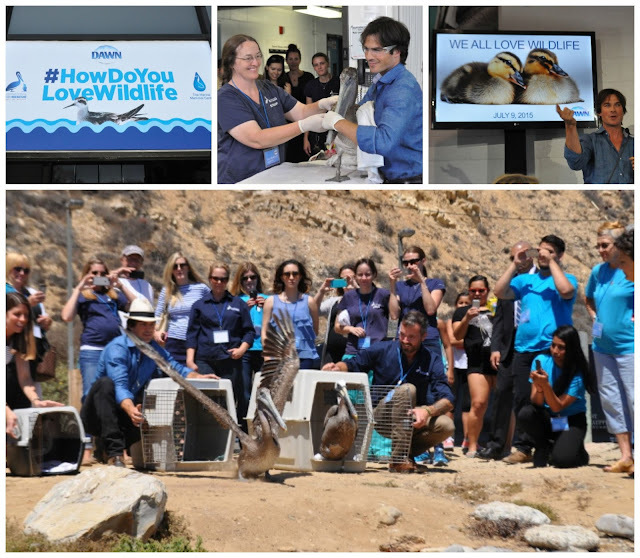 The International Bird Center and the Marine Mammal Center in San Pedro, California has taken in more than their share of the injured wildlife and thanks to Dawn Dishsoap, I was there to see some of the animals released back into the wild. Check out what some of the other volunteers have to say about Dawn Dishsoap and how it helps the animals. We were joined by Ian Somerhalder(The Vampire Diaries). 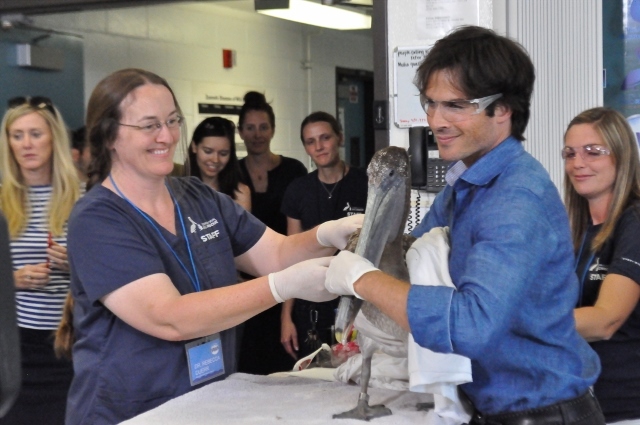 Ian has used his passion for wildlife and especially pelicans to start the Ian Somerhalder Foundation that helps support care for animals in need. Do you remember the pelican Pink? His bill pouch had been torn almost completely off? His foundation was responsible for funding the expensive surgeries that saved his life! Here, Ian assisted one of the Vets and volunteers to give a pelican its last checkup before being released that day. 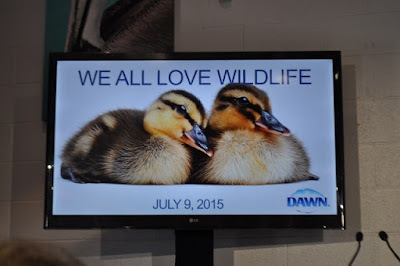 Dawn Dishsoap has partnered with the animal centers in a HUGE way. Dawn is the only product that literally makes the oil slide off the animals leaving them with their natural feather oil that keeps them buoyant and warm in the water. Did you know that the oil actually burns skin? Dawn neutralizes the oil leaving animals to continue their life in the environment they are meant to. That day Ian and the volunteers released 3 Pelicans and 1 Seagull. If it weren't for Animal Centers, Dawn and the volunteers, there would be so many animals lost to the accidents of humans. 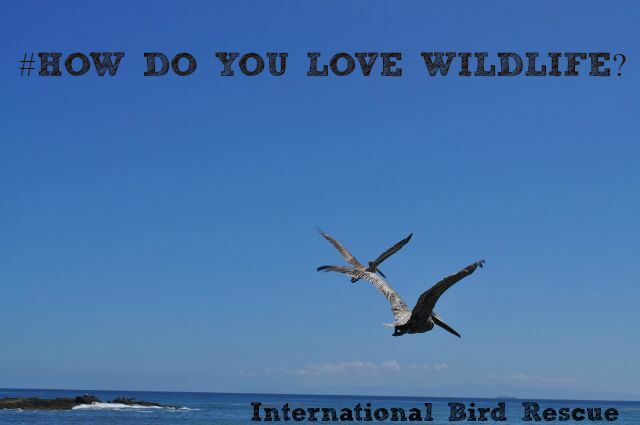 We were challenged to ask ourselves, "How do we love wildlife?" I would love to share with you my first strong feeling about wildlife that I remember as a child. "As a child, I spent much of my time on Catalina Island on our boat. Often, as we were fishing, sea lions would hang around our swim step and sometimes sleep on it waiting for extra bait to be thrown to them. Of course, I obliged. One day as I was supposed to be taking a nap with my family, I got the idea in my head that I could bring home the sea lion as a pet. I lured the sea lion into our boat and shut it in my bedroom. Needless to say, the noise woke up my family. I realized that the sea lion didn't belong anywhere except in the ocean where it belonged. This memory has stayed with me all these years and eventually led me to work with wildlife and rehabilitation." What experience in your life has moved you to feel strong emotions about wildlife? I would love to hear your stories. 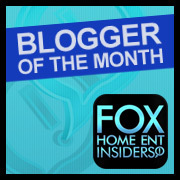 Please leave a comment or email me your story and I will publish them on my blog. It so wonderful that people set up to help the animals who really can't help themselves.